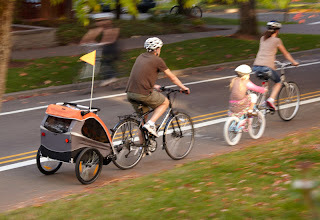 Long known as the worldwide leader in child bicycle trailers, Burley launched a commuter trailer that won one of 12 Gold awards at the 2010 EuroBike tradeshow. For more than 30 years, they've made it their priority to deliver the absolute best in quality, durability and safety. 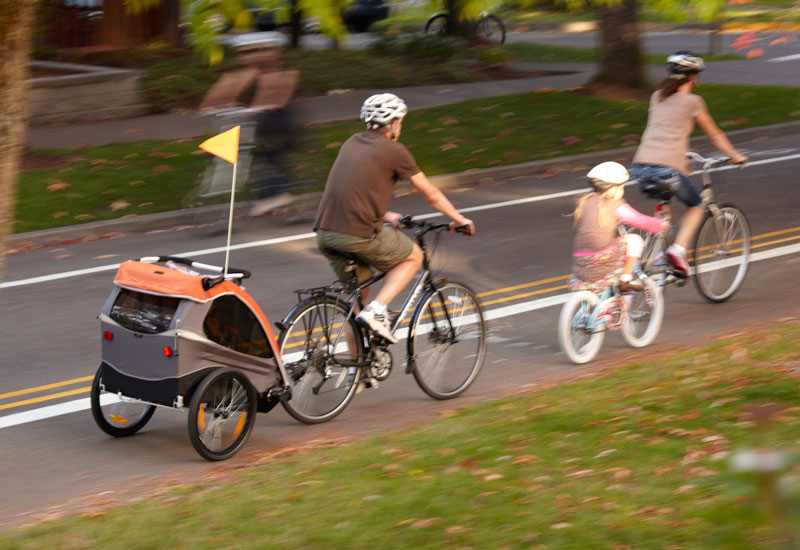 The Burley Bee lets families bike on a budget without sacrificing safety and durability. 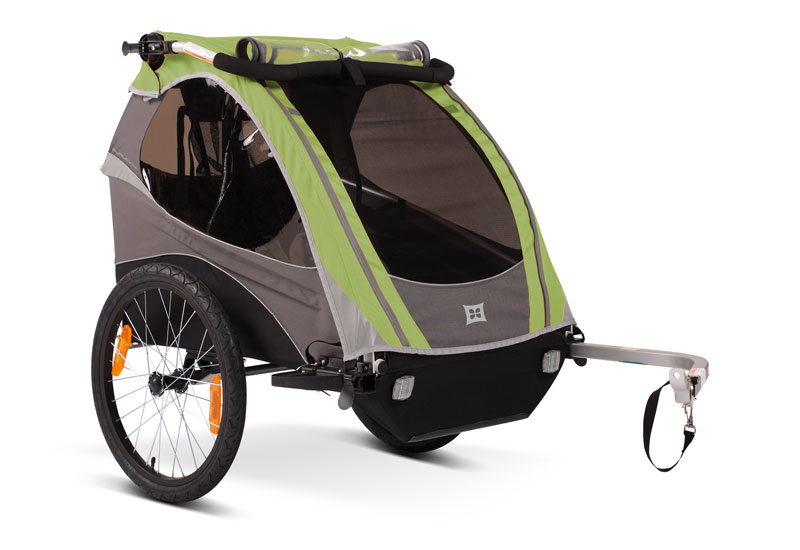 Features suspended fabric seating for one or two children, wheel guards and a convenient rear tailgate for easy access to cargo.